Tenacious, this is the first word that comes to mind to describe Diane Boyer, one of the incredible ladies chosen for inclusion in our 4th Annual Woman Who Rocks the Rockies feature. She was nominated by one of her close friends who accompanied me to interview her at her family’s home in Vail. It is not often someone wants to meet only a few short days after a knee replacement. I learned she is a woman of grace and grit looking after her family while pursuing a passion of being outdoors and steering the helm of SKEA Limited, a women’s ski wear company run by women and designed by women who love the active outdoor lifestyle. SKEA Limited is a family business that has been designing and building beautiful skiwear with inner strength for the past four decades. SKEA is a product of the Boyer family’s passion for skiing and the mountain lifestyle. Founders Georges and Jocelyn Boyer, Diane’s parents, grew up in France and Canada. In the late 1960’s Jocelyn discovered a one-piece ski suit while visiting Europe. Upon her return to the states, she donned the outfit and WOW’ed everyone on the slopes of Stratton Mountain, VT. In 1972 SKEA was born. The combination of the words “SKI” and “SEA” created “SKEA”, as the original business plan included a summer and winter collection. The little family company found it’s way to Vail where it has continued to operate and grow through the years. In addition, the company offers a City Style line for off slope, every day living that includes jackets, skirts, shawls, sweaters, vests, and accessories. A new Skea Sport Collection is offering an enhanced technical activewear line of sportier parkas, pants and base layers designed to cross over to a variety of athletic pursuits. All of Skea’s products are built to function in the very best and very worst weather conditions the mountains can throw at you while, quite honestly, making you look fabulous. What you must know is Diane is a full-blown Ski Industry Pioneer carrying the torch handed to her from her parents and leading as a humble and gracious women’s skiing ambassador. 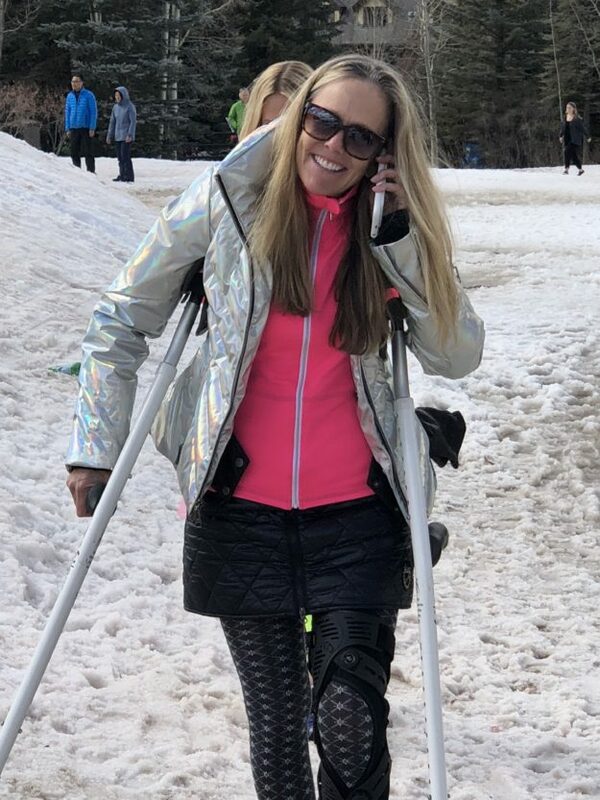 She is a philanthropist supporting many nonprofits, notably the Shaw Cancer Center and Pink Vail as well as supporting the Colorado Ski & Snowboard Museum through service and charity. Her Colorado and national industry influence extend to her tenure on the SIA board of directors (1998 – 2009) which included serving as the first female chair of SIA. Diane was instrumental in convincing SIA to move the annual trade show from Las Vegas to Denver in 2009. This past year she was honored and Inducted into 2017 Colorado Ski & Snowboard Museum Hall of Fame for actively promoting skiing for women and families through her company SKEA Ltd. and her involvement in SnowSports Industries America and the Colorado Snowsports Museum. If that isn’t enough to be a rocking woman, then I guess you should know that even though Diane could not ski this past year she still got out on the hill hiking up as often as possible assisted by her crutches. Yup, Tenacious. and performance. Vibrant colors, one of a kind designs, patterns and trims make the brand at once recognizable and highly desired. Boyer’s company products embrace femininity with durable and robust structuring on the inside.